The other afternoon I was reading The Northern Miner newspaper from Charters Towers, an old mining town in North Queensland where one branch of my family had lived for some decades. I had ordered the microfilm in on an inter-library loan from the National Library of Australia to follow up some information on a friend’s family history. I was focused on a particular month in 1947 and what struck me afresh was just how full of human misery a newspaper can be. This sometimes seems to be more obvious decades ago when it was reported more graphically. It also struck me that this is perhaps the one down side to Trove, though I absolutely love it in all other respects. By not sitting in a library and turning page after page on a microfilm, we lose the broader sense of what was happening in that place and at that time. We also lose a sense of perspective on how that particular editor and newspaper handled their news stories, what they focused on, and their general credibility. You also lose the sense of how they structured their paper, and where particular news features are placed. Sure, we could browse any edition on Trove, but do we really do that? A Rockhampton woman jumped off a bridge into a river clutching her 14 month old baby to her chest. The baby’s body was recovered, the mother’s had not been. What tragedies lay behind this story? A literally feral 7 year old child was found by the Salvation Army (place unidentified). He had been rejected by his parents because he was believed to have been swapped at birth. He had lived in their shed in the back yard with no clothes, toys or training and minimal human contact. He was responding well to the Salvos treatment. One family history you would not want to find. And one for the Darwinites: Darwin had no dentist and a man had to fly to Adelaide for treatment. And yes, we do have dentists now but the need/desire to fly interstate for some significant medical treatment still exists. And a “good news” item: the wonder drug Streptomycin was to be mass produced. Most of these stories were found easily on Trove and are reported in newspapers around Australia, demonstrating that you may find the stories you want well beyond the confines of the local newspaper. So there we have it, what sad and tragic family stories lie behind each and every one of these news items. This entry was posted in Family History, Local History and tagged Charters Towers, National LIbrary of Australia, The Northern Miner, Trove by cassmob. Bookmark the permalink. 😦 Reading the old newspapers can be very upsetting sometimes! I agree with the remark “you may find the stories you want well beyond the confines of the local newspaper.” I found an article in the Brisbane Courier in 1865 regarding the death of my ggg uncle near Deniliquin NSW! I wasn’t expecting that! It was copied straight from the article that appeared in the Deniliquin Chronicle. I love old newspapers. A couple of our historical museums have a wonderful collection of old newspapers, that they still let patrons read in the reading rooms. What a treat. Thanks for that view of 1947 Darwin. Glad you enjoyed it Joan. My eyes would be grateful for hard copies…microfilms are taking their toll. Thanks for the reminder to slow down and take the time to search newspapers whether online, on microfilm or the original. 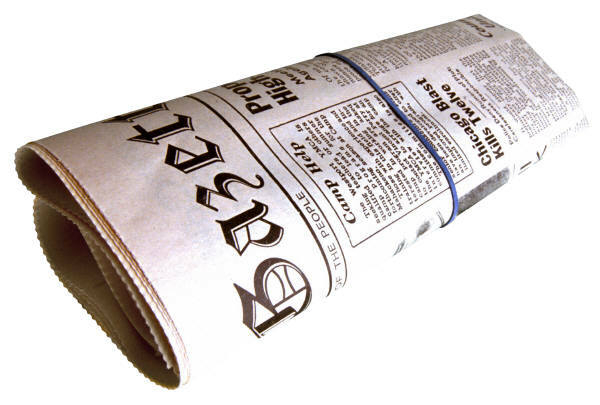 Newspapers can provide some interesting background information for your family history. I love to read the advertisements in old newspapers. Thanks Ruth .They really are intriguing sources even though not always entirely accurate. It’s interesting to see how limited the range of products advertised in those days. I was surprised too at how slow I found the microfilm after being online so much ….even though I’ve read heaps of papers this way over the years.